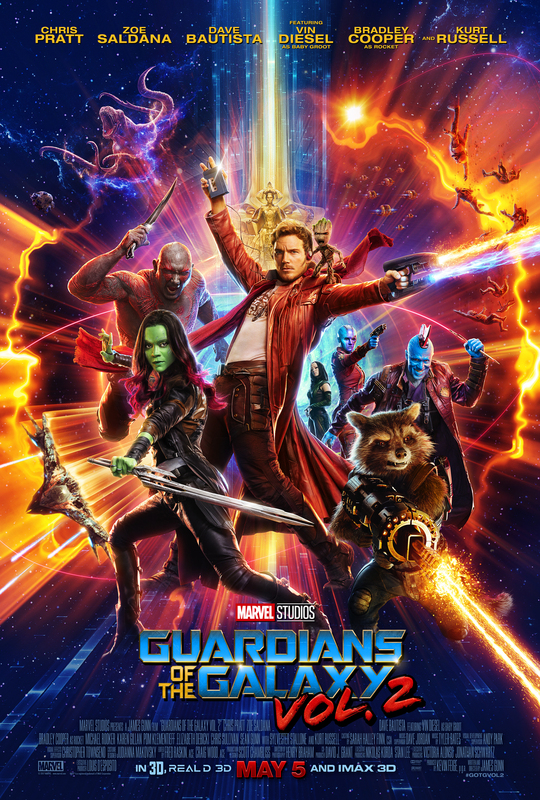 Picking up where Guardians of the Galaxy left off, Peter Quill and crew are off to save the galaxy once again when they are hired to protect some batteries, but when Rocket steals some of the batteries a battle ensues. The crew is “rescued” by Ego, a god who has plans to rule the entire galaxy. The story gets personal for Peter and the gang this time as the characters are developed more in this movie, including learning more about Peter’s parents. You’ll laugh hard, you’ll probably cry, but one thing you should never do is leave before the theater lights come back on. Trust me…there are a ton of stingers at the end of this movie. I won’t say how many, because honestly I lost count…just don’t leave. Promise me you won’t leave! This movie has some sexual tension in it between Peter and Gamora. 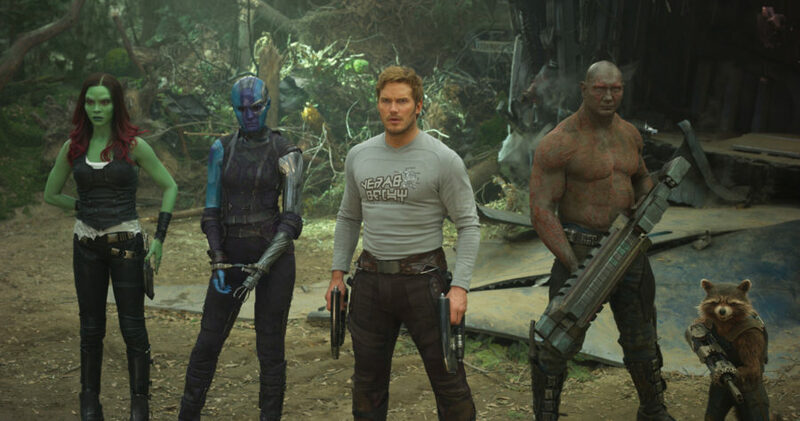 There is also a scene where Yondu appears to be in a space brothel sort of place and he adjusts his pants for a minute. There are a few sexual innuendos and jokes, but there was nothing actually shown. Use your judgement to decide if your kids will be okay with these scenes. Baby Groot is totally adorable and probably stole the show a little. 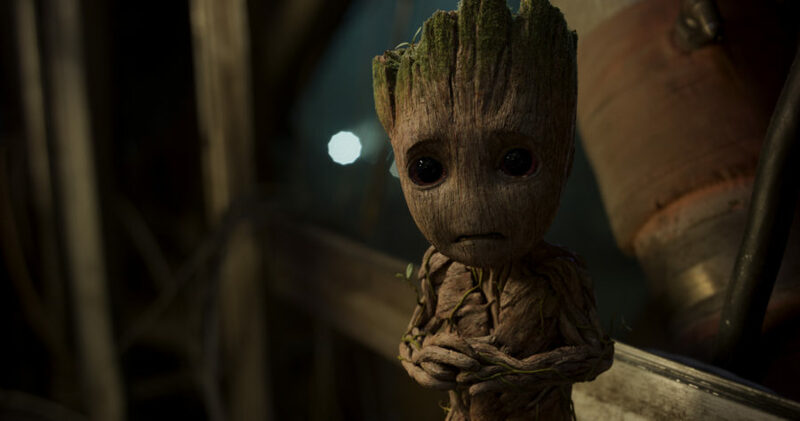 He is totally cute as a baby and it was sweet to see everyone taking care of baby Groot. But he’s more than just cute, he’s a part of the team and his help is needed more than once. I can’t wait to see him grow up in the next movie. If you haven’t seen the first movie you need to watch it before you see this one, so much from the first movie carries through to this one that you might be a little lost if you haven’t watched the first one. I loved the movie, probably more than the first. It’s setting the bar high for the summer movie season this year. I saw the movie in 3-D on the IMAX screen and it was amazing. It’s definitely worth the extra price for the 3-D/IMAX experience! Guardians of the Galaxy: Vol 2 opens nationwide Friday (5/5/17).